Want to go traveling through time? 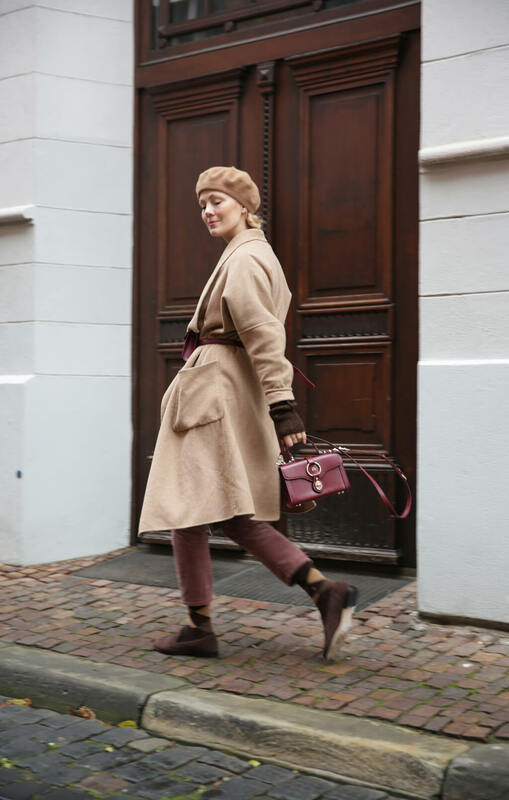 When Etienne Aigner founded the eponymous luxury leather brand in the 60s, he reflected the lifestyle of the period perfectly in his exclusive creations. 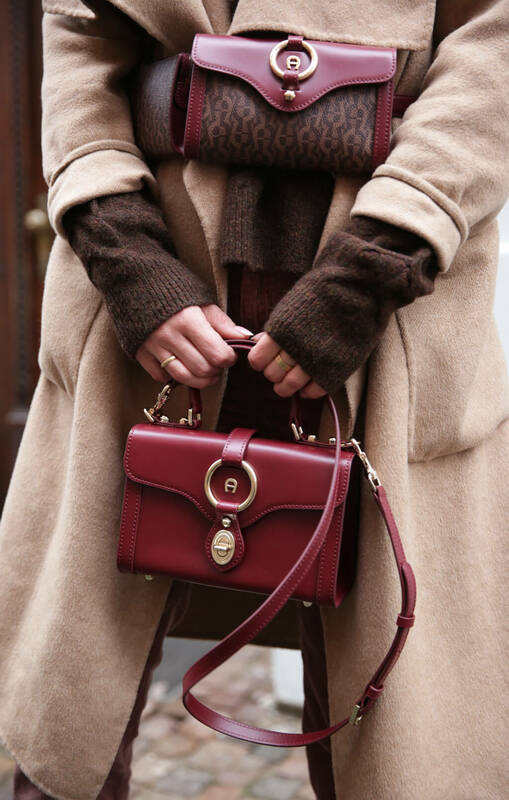 The Chianti-red accessories became coveted cult items, turned into the statement pieces of the 60s and 70s and are still part of AIGNER’s DNA today. I still love my mother’s it pieces. Heirlooms with flair and heart, and top quality! The new Fiorentina Bag bears this sought-after luxury label ‘Heritage by AIGNER’ and unites so many timeless and modern elements that I simply HAVE to enumerate them: It is available in two design versions – either in a combination of the Icon Cover and smooth leather, or in a clean version made of smooth leather. 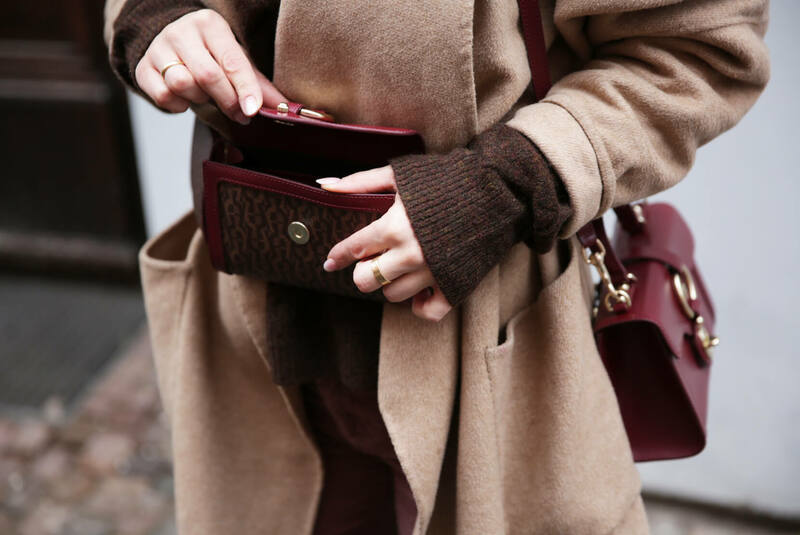 It can be carried by hand as a day and evening bag or it can be worn crossbody. If you prefer even more extravagance and trendiness, you can choose the new Belt Bag version made up of two adjacent compartments. It could not be any cooler. Moreover, it casually combines traditional stylistic elements like a classic ring detail with the characteristic AIGNER screw. And then there is its one-piece leather frame - along with its openly manufactured edges, this is a particularly exquisite quality feature from the Italian manufactory. I am having difficulty deciding on one model, which is why I am combining the Fiorentina Bag in burgundy and smooth leather with the burgundy Belt Bag with the Icon Cover. What do you think of my winter look? Can you imagine what the Fiorentina Bag will do to me in spring, combined with all the delicate dresses, trench coats and shorts?! I am so looking forward to it! So you will certainly see much more of the Fiorentina Bag!